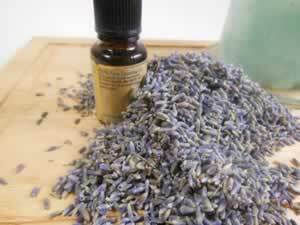 The antibiotic action of the lavender and chamomile oils helps protect against infection, as well as acting to lessen pain and inflammation. Recipe Instructions: Poultice :Soak a clean piece of gauze or bandage in ice cold water and or witch hazel. Apply 1 drop of blend for each square inch of skin affected. If you don't have both on hand, either oil will work on its own as well.